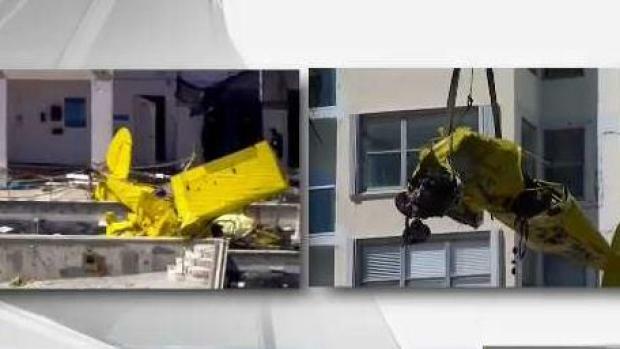 Officials have removed plane wreckage from a Ft. Lauderdale condo after it crashed Friday. NBC 6 Reporter Arlene Borenstein explains. 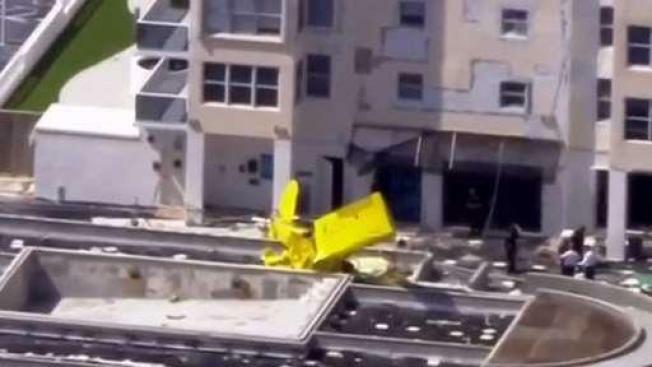 A pilot is dead after a small banner plane crashed into a condo in Fort Lauderdale. 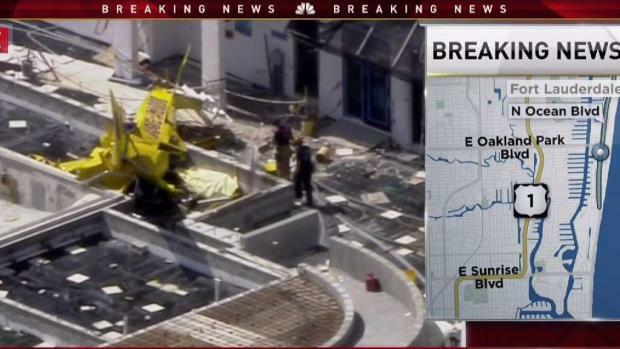 NBC 6 Reporters Jamie Guirola and Marissa Bagg have the story. 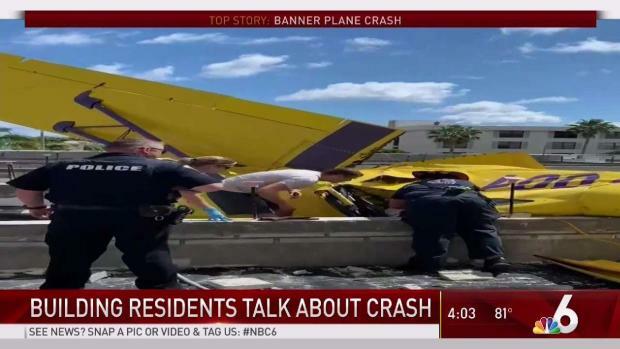 NBC 6's Marissa Bagg and Dan Krauth have the latest on a plane crash that happened in Ft. Lauderdale that left one person dead. 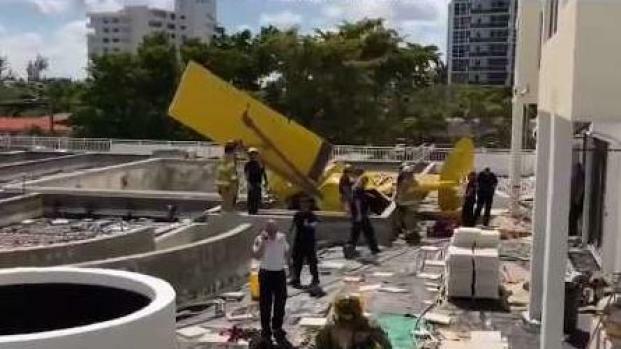 The pilot of a banner plane was killed after crashing into a condo building in Fort Lauderdale. 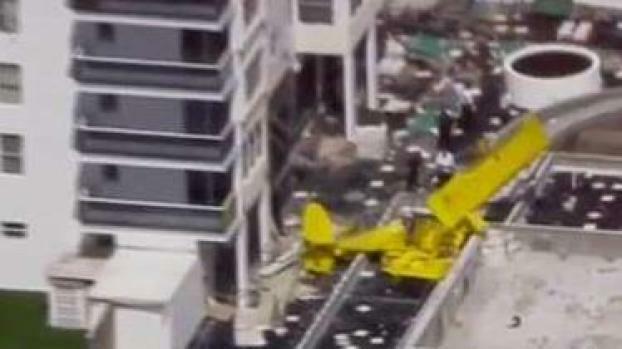 Chopper 6 was over the scene after a plane crashed into a South Florida condo building. 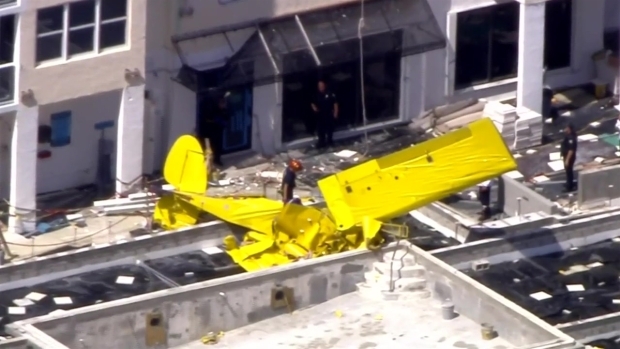 NBC 6's Marissa Bagg, who lives in the building just south of Oakland Park Blvd., details the events that took place after a small banner plane it the building.